Looking for a modern forward thinking accountancy firm? ....then Askews is the right choice for you! At Askews we work with our Clients.....we don't just do their annual returns. Help build your business and grow your wealth. Askews....Where you know your accountant and your accountant knows you. The power to help you navigate the road to success. Why not let Askews be your Virtual Finance Director? At Askews we put our Customers first, by providing a seamless accounting service, ensuring we get you the best deal to minimise your tax bill along the way. Askews brings financial clarity to its clients. By carefully tailoring our servies to your requirements, our expert advice results in tangible benefits for businesses. “Very good responsive accountancy firm providing us with great support. Askews Accountants always respond promptly to our emails or phone calls the same day! With over 150 staff on our books, we are so pleased they are now looking after our payroll, business accounts and tax affairs. 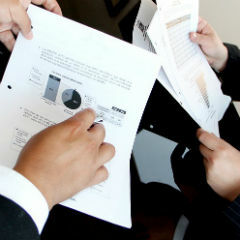 Askews have been with us since the beginning of our business and are our oursourced finance department. Askews, based in Coventry has an Accountancy, a firm of solicitors Askews Legal LLP and an insurance brokerage Askews Risk Management Ltd.
With over 30 years of experience Askews has the knowledge to help all our clients, whatever the size, whatever the issue. Askews listens to their clients to ensure we give the right advice. We never forget “Your success is our success”.